Control grading operation with the accuracy and durability of the box blade attachment (also known as a box blade scraper). Designed for maximum performance, the box blade attachment features foam-filled tires which provide excellent floatation to keep the box blade moving smoothly over the work area. 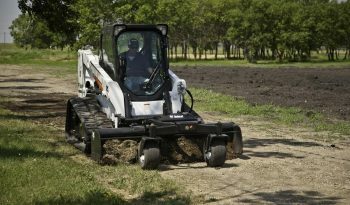 For decreased downtime on the job, the cutting edge of the moldboard is reversible and once worn, can be flipped over to provide a fresh cutting blade. The box blade attachment is available in two models: manually operated and laser controlled. The front bolster on the box blade can be raised or lowered to control the height of the cutting edge. Lower the cutting edge to cut and raise it to dump the material. With the automatic laser control system the laser receiver controls the height of the bolster and cutting edge. Box End Wings: Help to carry more when spreading fine materials such as sand or gravel. Include adjustable and replaceable bottom edges. 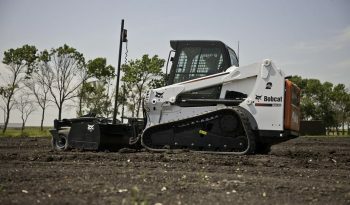 Fingertip Controls: Raise and lower the blade from the comfort of the cab, providing smooth controls for precise grading. Foam-Filled Tires: Designed for increased uptime protection, tires are filled with foam for guaranteed no flats. 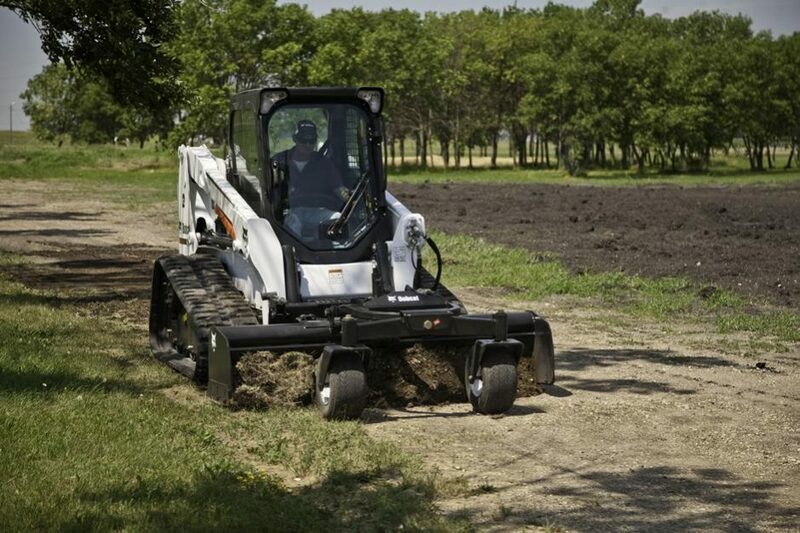 Also, add flotation while operating, keeping the box blade moving smoothly over the work area. 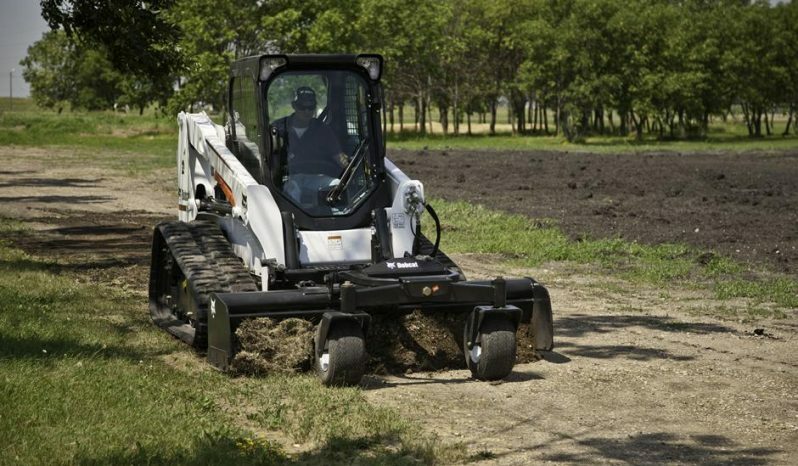 Oscillating Bolster: Smoothes dips and bumps in the work environment, minimizing the effect of uneven ground and increasing first-pass accuracy. Reversible Cutting Edge: Increases the life of the attachment while providing better uptime protection.